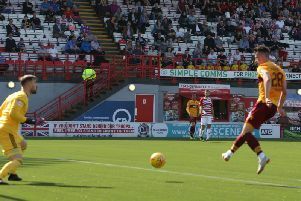 Motherwell FC’s appeal against Scott McDonald’s straight red card in the Rangers game last Saturday has been rejected by an SFA disciplinary tribunal. The Steelmen had claimed wrongful dismissal of McDonald for serious foul play, but this was thrown out on Thursday morning. This means the original two-game ban imposed on the Australian striker still applies, so he will miss Saturday’s home game against Hearts and the trip to play Aberdeen on Wednesday, February 15. Meanwhile, midfielder Stephen Pearson today completed his free transfer to Motherwell, signing for the Steelmen for a third time having left last summer to sign for Atletico Kolkata in India.